It’s not about right vs wrong, it’s simply about educating members. I think Ken has been very transparent here with a full breakdown of the costs associated with the work. It's a proper job to, with stainless steel fixings and new heat shields. I'm sorry to say it is worse on the vtg cars unfortunately. On 997.1 cars, there is less opportunity to refurb the turbos than on 996 Turbo. Additionally, whilst removing the lines etc is essentially the same job, the 997.1 cars also have water line to the turbo. It is essential when trying to remove that to avoid having to cut that line or damage it in anyway as to fit new water line is engine down. On 997.2 cars same applies but there is more room to replace the water line without dropping the engine. on 991.1 cars same as 997.2 cars. The pictures below - that is turbo on 991.1 turbo s that we removed (or at least tried to remove) - just impossible to get the lines off and had to cut them all. Hot side wheel had excessive movement and when stripped you can see the cause - scored from contamination. So you can imagine what they are like on 996 Turbos. Ken , this topic isn’t up for debate any further. This thread isn’t about 9e or the service your company offers at the price you command. This is about giving information in a bid to aid an enthusiast without the expectation receiving anything in return. This topic goes beyond the scope of this thread and I won’t allow it to turn into an argument. By the comments you have made demonstrates you are acting extremely threatened when there really is no need to be. Im trying to help you here. This doesn’t take away from the facts of my experience. The total job cost was £1402 plus vat for replacing one turbo charger including parts and labour. Porsche even fitted my Europipe exhaust without charge with lambda sensors change over etc. Thread readers should be aware that there are a lot of ’Independent Porsche specialist Garage- Fanboys’ (You know who you are) on this forum that only stick up and endorse their own garage to the extent that they deliberately post skeptical and critical comments about other members information in a bid to sabotage good information being shared to benefit others. I make reference to this in a previous post, when a new (at the time) tuner ESmotor first joined this site with some extremely exciting developments and land speed records with their Porsche Turbo packages. When they posted their results, the reception they got was extremely negative and bullying in nature . Many agreed that this was absolutely unacceptable and disgusting. ESmotor left the site since and not returned. Finally, thanks for the nice messages everyone has sent so far. I think the issue, Simon, is that you haven’t helped anyone. You won’t show and invoice demonstrating the work done so people can make an informed decision about the value they would be obtaining via different routes. In fact,you have deliberately obscured the information that would further this thread. Spoke with Ken over the phone, thanks for the call. Im glad you now understand the points and comments and the genuine intention for them. They were made to aid with the best intention of thread starter in mind. Not to discourage or defame others. I completely, understand and empathised with your angle. We agreed the comments we made still stand, but aware members are able to actively and respectively agree or disagree without there being a threat any interpersonal problems. To clarify, there is no ill feeling between us. Ken, Im also extremely happy as I know others will be that you acknowledged you have a responsibility (albeit limited) to the members on this forum that endorse your brand and/or look up to you as an influencer, along with their actions towards other members on this forum. You will I hope actively discourage any acts bullying in the future should they arise. I wish you the best in all your future ventures Ken. I won't be sharing anymore artefacts in this threat. Anyone who interested in finding out specific information can contact the parties mentioned in this thread directly. Aside from anything else within this thread, I wholeheartedly agree with this statement, and it's a real shame not least because it devalues the input that many specialists and forward thinking engineers could have to us all as owners. If we all worked together I feel we could achieve anything. Im currently working on early application process of the new style ZF 8 Speed gearbox to a tiptronic P car. This is essentially is the same outlay as our ZF6 Auto boxes in the tiptronic vehicles however much more advanced. Essentially it drives like a dual clutch. Can you imagine the amount of people that would benefit from ZF8 gearbox conversion in a tiptronic car? The real benefit of this application isn't the shift speed but the delay between the shift commanded and the execution rate. If we we able to draw upon all the talents in the Porsche aftermarket industry and it's enthusiasts, with appropriate funding we would of had this completed in 14 months easy. Unless some posts have been deleted, there's nothing in this thread that could be used to compare 1 with 2. As the original poster I seem to have stirred up a bit of a hornet's nest on this. If so I apologise as this was not my intention and I certainly didn't want to offend anyone! I was really only seeking advice/opinions from anyone that had had similar work done so that I could review my options in view of the costs involved. No need to apologise - forums are here for healthy debate. The costs I posted are the maximum case because invariably cars of a certain age need everything replaced and our view is that while you are there, you should take the opportunity to minimise labour in the future. The Porsche method of removing a turbocharger is to remove the exhaust bolts, remove the retaining bracket, then remove the manifolds and slide the turbo out. There are actually different methods but essentially this is it. However you can also remove the bolts from the turbo to manifold end and not have to touch the manifold bolts. Removing the manifold bolts from the heads is probably the worse thing techs like to do. The costs I posted are using genuine parts and cover the fact that everything needs to be replaced. Clearly for example if you recently had new actuators and they can be reused, then you can remove the cost of those from the costs I posted. Similarly if the turbo to manifold nuts have been replaced in the past and are in good shape, then the job will be easier. Simon and I chatted yesterday (we have known each other for a long time) and he makes a valid point that there are alternative (cheaper) solutions to some parts - for example not using Porsche actuators which reduces the cost. Nothing wrong with that and certainly when we do hybrids turbos we don't use stock actuators. However I do have to consider each case on behalf of a customer and make a recommendation. If I have a low mile turbo car then I am unlikely to recommend using an aftermarket solution say in the case of an actuator because quite simply if I was to purchase that car for resale, I will then before placing our in house warranty on the job replace - and we have done that on several turbos that we have sold recently. 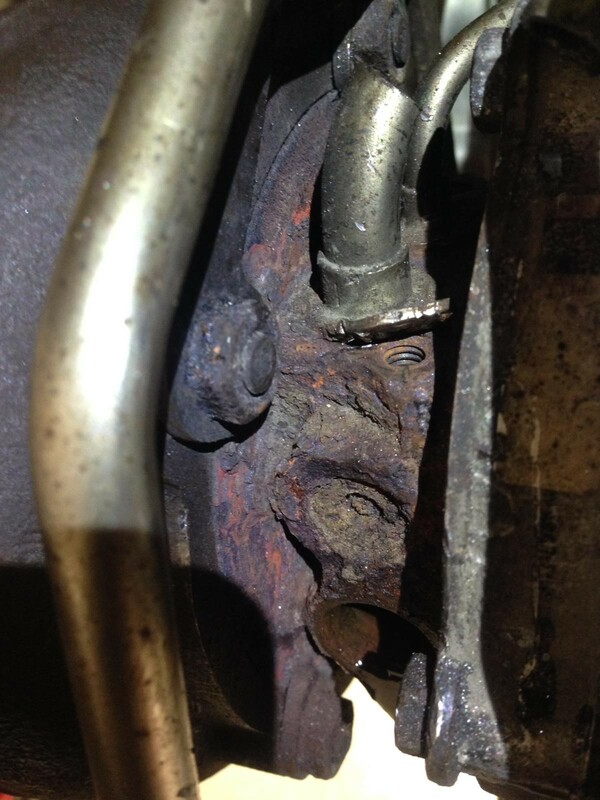 It is a similar situation for example if you look at brake lines over the engine - you either drop the engine and replace with Porsche parts, or you can make up lines, and avoid dropping the engine - I won't sell a car that has non standard brake lines in this instance - it doesn't make it wrong to have non standard brake lines, it is just our requirement, and would be similar if for example you took a later car to OPC for 111 check for warranty. But I totally agree with Simon that the cost of a turbo refurb can be cheaper depending on the choices of what you do. Is it purely the location of the turbos (right next to the road essentially) that causes them to end up in such awful condition? My 25 year old turbo on my Skyline is infinitely better than those. It feels like Porsche could have done so much more to protect parts on such an expensive car. My Cossie turbo looks brand new in comparison to the 996. Simon, please let me know which OPCs only charge £105ph for 996s.Llast bits of work completed on my turbo s on top of a minor service, was £168ph. So 9e's £80ph plus vat looks pretty good to me. Great thread gents and as has been said, this is what forums are about provided they don't descend into insults or worse (which of course this one didn't) hence its value. Location:Head Office in Reading (Porsche Centre Reading). Extremely knowledgeable guy Tim. He knows all the tricks and actually recommended AET turbos to make the the process more cost effective. He said as a disclaimer that the warranty for the turbocharger sat with AET (1 Year) and couldn't be a responsibility of Porsche but everything else they supplied would be under their warranty of service and parts. Before his recommendation I didn't know a Turbo rebuild service was even available to the general public. 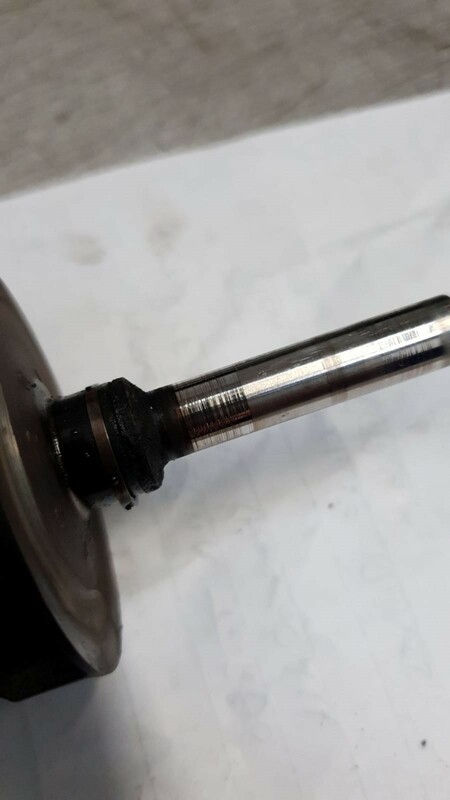 I had the existing actuator on the turbo replaced with an OEM rebuilt one (£60- on an exchange basis) but If could do it again I would simply have bought the Turbo Smart actuators as they are far far more superior in build quality and there is no threat of them ever seizing in the future. Someone else on this forum asked about actuator recommendations and I commented much more there. The labour I was charged for the job was £577.50 plus vat so that is either 105 ph inc vat or plus vat . It was probably more plus vat. However, and this was a fantastic thing I found. Porsche have book time recommendations for doing jobs i.e turbo replacement. If you exceed the book time they do not charge you anymore. Im not sure if the book time is estimated on new vehicles but, my car certainly exceeded the book time. They also had me kicking about in a Porsche Cayman while my car was in.